Parking fees are set to go up by 50 cents a day in December at three BART stations in the East Bay and one on the Peninsula, according to officials. Parking rates will rise to $3 daily at Millbrae, $2 at Concord and North Concord/Martinez, and $1.50 at the Coliseum station in Oakland, officials said. The increases take effect Dec. 7 and will remain in place for at least six months. BART officials evaluate parking lot usage every six months and adjust parking fees accordingly. Lots that are full might see a fee increase of 50 cents — up to a maximum of $3 per day at most stations — while lots that are less than 95 percent full might see a decrease, according to officials. The fee changes affect single-day, monthly and airport/long-term parking. 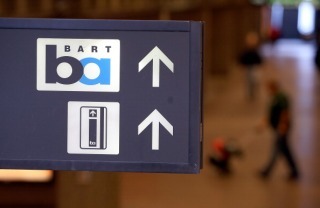 Parking fees can be paid by using a Clipper Card, which must be linked to BART's parking program — EZ Rider — prior to use. They can also be paid in cash or with a Blue Ticket, which must also be used to enter the fare gates.